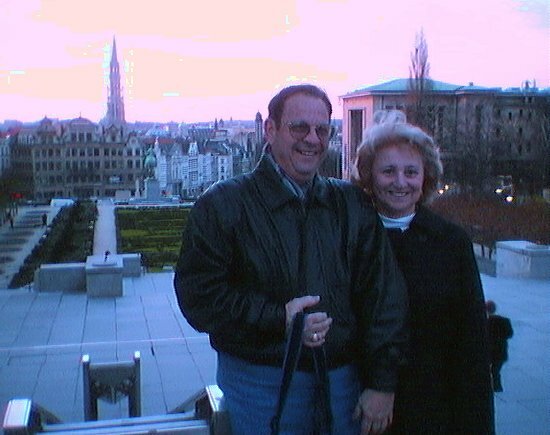 Almost immediately after their flight from New Orleans to Washington, D.C. and then from there to Brussels, they were given a rapid but extremely thorough tour of Brussels by the incredible Françoise Radelet. They even got out to the Parc de Tervuren. Remember the last pictures from there? If not, go see the snowy photos on the February 01-08 page. Anyway, here's the happy (and sleepy) couple in the same park, this time with a slighly more spring-like appearance. Here are the two world travellers in Brussels after walking around for a good part of the day. All that exercise has apparently not worn the smiles off of their faces. 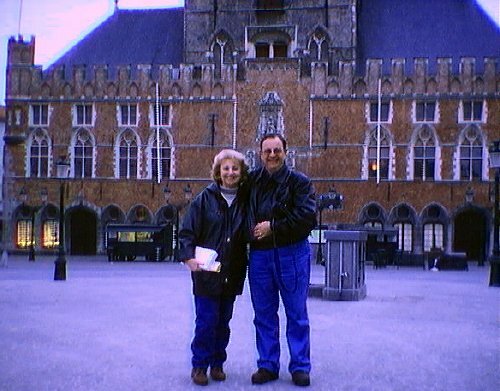 Mom and Dad made it on their own to a few places, amazingly enough. I have to admit, I was a bit worried as I saw them pull out from the rent-a-car place here in Brussels. Fortunately, they made it to Amsterdam and Antwerp by themselves; and most importantly, they made it back to Brussels. Their favorite "almost-detour": LUIK (as they and the Dutch-speakers know it), or Liège (as most other people including the French-speaking citizens of Belgium call it). Return to the JOURNAL page. 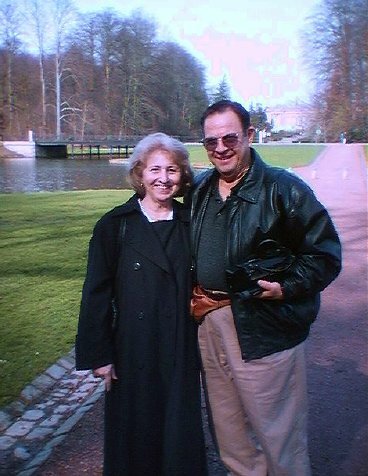 Return to the PARENTS' TOUR page.